There is no clear empirical appreciation of the most appropriate labour market segments both across and within lower income countries (LICs) in Africa. 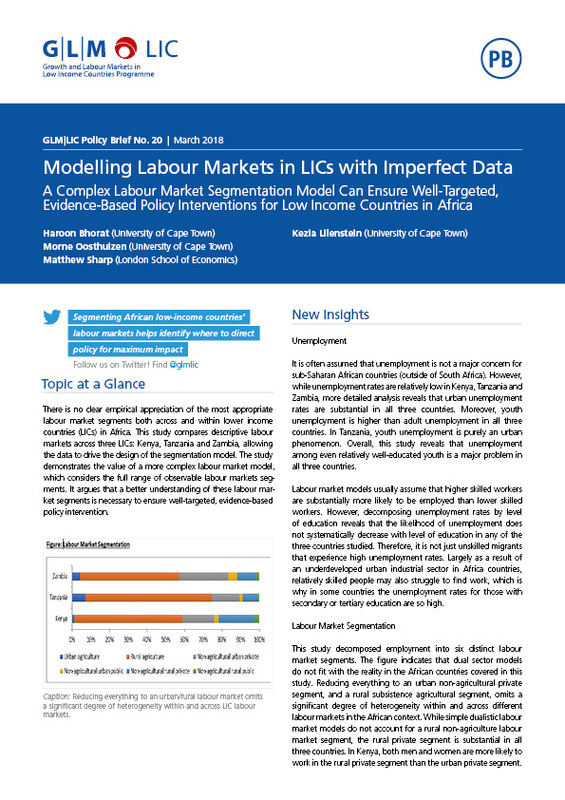 This study compares descriptive labour markets across three LICs: Kenya, Tanzania and Zambia, allowing the data to drive the design of the segmentation model. The study demonstrates the value of a more complex labour market model, which considers the full range of observable labour markets segments. It argues that a better understanding of these labour market segments is necessary to ensure well-targeted, evidence-based policy intervention.